This Pie is made with fresh apples, cinnamon and brown sugar. 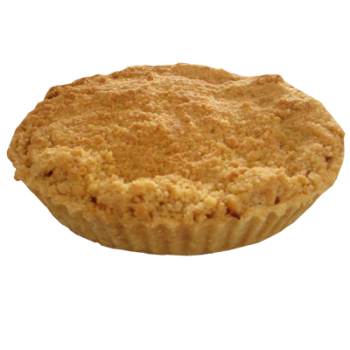 The apples are soaked in brandy, cinnamon and topped with brown sugar and butter crumble. 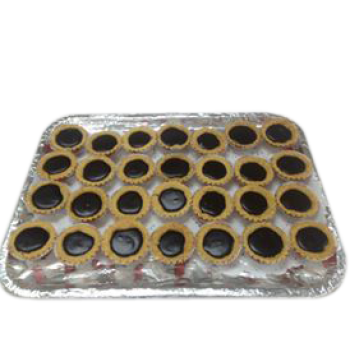 Delicious & Rich Mini Chocolate Tarts... You just cant stop on one!!! 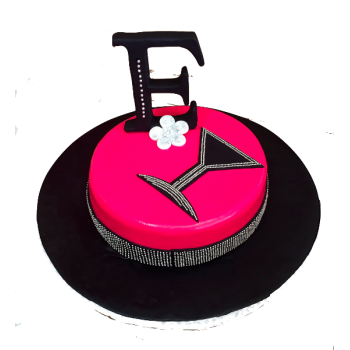 Stylish Fondant cake with elegant decoration. 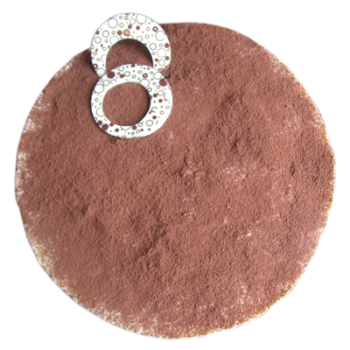 Available in Chocolate Mud or Brownie or Banana Chocolate or Vanilla or Marble. A secret grandma's recipe that melts in your mouth. 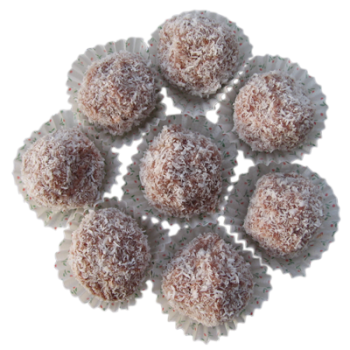 Dates are cooked slowly with milk and after cooling rolled into desiccated coconut. Available in Chocolate Mud or Brownies or Banana & Chocolate or Vanilla or Carrot. 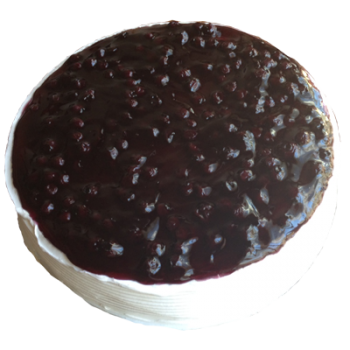 A rich moist not so sweet cake. 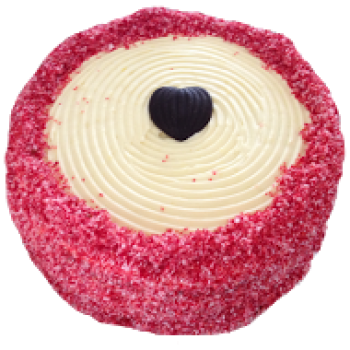 A dark red color cake covered with cream cheese frosting. The cake is surrounded with desiccated coconut. 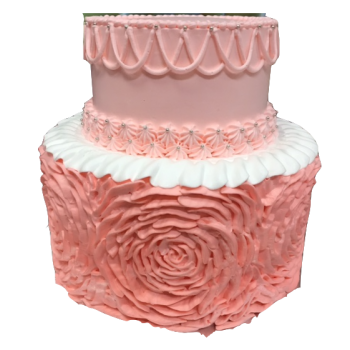 This fabulous cake is a winner for an elegant ending to a delicious meal. Sponge fingers are dipped in coffee and layered with mascarpone cheese. Also called " Cake of leaves ". This cake has 10 cookie layers. Each layer is brushed with brandy and covered with caramel and walnuts. 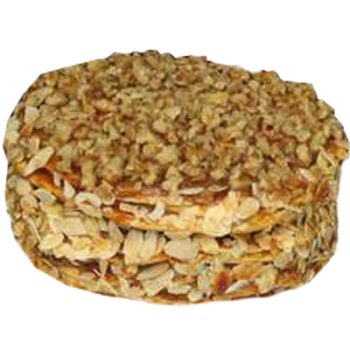 Roasted sliced almonds on the sides gives it an exotic taste. 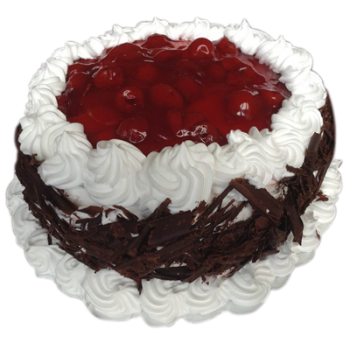 Tres Leches is a sponge cake soaked in 3 different kinds of milk. 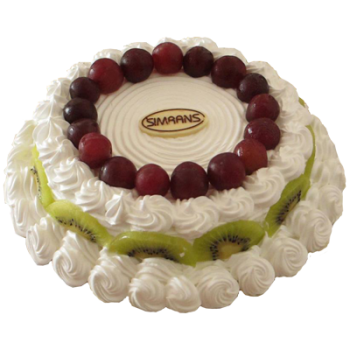 Decorated with wipped cream and fresh fruits.